A method used in aesthetics as well as in medicine, photomodulation allows the regeneration of cells simply by exposure to pulsed and cold light. Derived from the soft laser, it promises to solve all kinds of physical and cerebral problems. Focus on the cousin of light therapy…. Deep cell hydration, blood oxygenation or even healing assistance, led photomodulation makes it possible to intervene in different ways on the body for aesthetic or medical needs. The most important thing about this method is that it has no side effects and is totally painless. Light therefore seems to be the solution to many physical problems. And the major advantage of photobiomodulation is that it does not hurt at all during or after treatment. This LED therapy is totally painless and effective, which represents a real revolution in the field of health and aesthetics. What is photomodulation: origins and operating principles? The effects of soft lasers were already well known in the medical field and had been for at least 50 years. The first to benefit from this innovative technology in the search for healing in a environment considered difficult is NASA. Indeed, weightlessness slows down healing just like in the depths of the ocean where it is denser. The variation in gravity therefore plays a decisive role in the recovery of cells. It was therefore necessary to use infrared lamps, which, by the way, actually emit a spectrum ranging from blue to infrared, to activate and even accelerate healing. This first discovery is combined with LEDs, these everyday bulbs, which have the particularity of not heating up. It was still necessary to discover that LEDs associated with infrared and diffused in pulsed light with flashes spaced a few microseconds apart could positively influence damaged or even damaged cells and activate biological agents allowing the repair and regeneration of these cells to discover photobiomodulation. It is by performing acts of healing the cellular lesions of patients treated with radiotherapy or any other disease attacking the cells that researchers realized the other effect of this truly unique technique: rejuvenation. Numerous studies have been conducted to demonstrate the effectiveness of this process from both a medical and aesthetic point of view and the results are simply impressive. If only on fine lines which, on the least receptive subjects, are significantly reduced, to the most receptive subjects where they can practically or even completely disappear. And this is just one example of the many benefits of this LED technology. Based on their experiments, the researchers refined the method by varying the wavelengths of light according to the desired effects using different colours such as blue, yellow or infrared. Indeed, they realized that the monochromic application of pulsed light allowed them to act differently on the cells. For example, acne is treated first by exposure to blue light which has an antiseptic effect on pimples and then by red light for healing. Professionals have thus observed effects on most dermatitis and particularly acne. Today, photobiomodulation continues to work in the medical field and is regularly used in the aesthetic field. Is it tempting to rejuvenate without pain, without effort and simply by being exposed to a non-heating lamp for a specific period of time? This is the challenge taken up by a new LED therapy. But what is photomodulation definition? What does this technique do to cause cell rejuvenation? What are its effects? An aesthetic technique to discover now! In the panel of light therapies, it is sometimes difficult to distinguish between all terms, especially since some are really very similar. 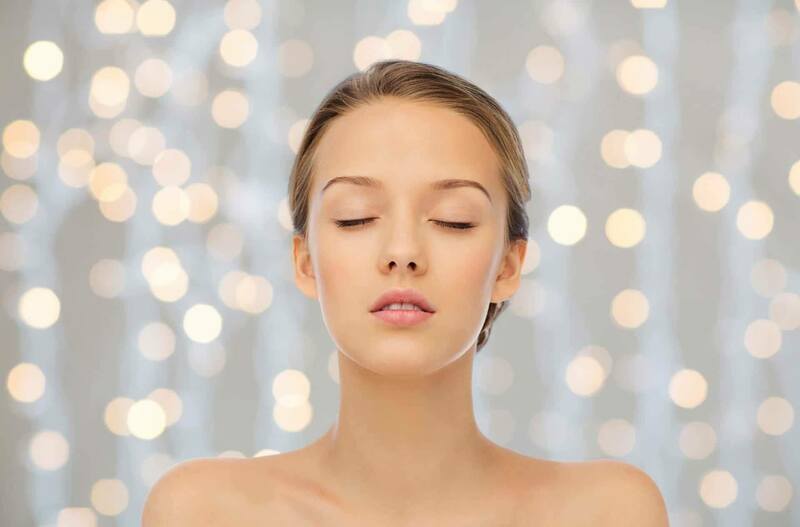 Luminotherapy, phototherapy or photomodulation… all use the light spectrum to intervene on your body and psyche, all are painless and without side effects and all allow a clear improvement of the treated problem. But who does what exactly? Incroyable… et pourtant, la lumière permet de guérir. La photomodulation led agit directement sur les cellules de votre corps et de votre visage pour un effet anti-âge époustouflant. Mais au-delà de cela, cette thérapie par la lumière sait aussi réparer les tissus abimés, adoucir les maladies du derme, soigner l’acné et enlever les cicatrices. C’est une véritable fontaine de jouvence pour qui décide de s’y exposer dans son salon, en hôpitaux ou en institut. If phototherapy acts on the cells, it can also activate blood oxygenation. This is called systemic photomodulation, which allows you to oxygenate your cells simply by sending the light spectrum in pulsed light at the right dose. In addition to the anti-aging effects of this method, athletes will find it a valuable ally to increase their performance and help in recovery after exercise. Neurodegenerative diseases such as Alzeimer or Parkinson among others have found hope in brain photomodulation. Based on cell regeneration, this method of exposure to pulsed light shows a significant improvement in the recovery of brain damage. It seems logical that if photomodulation allows cellular oxygenation, it awakens sleeping cells and gives them the breath necessary to rebuild themselves.